We welcome new paitents to Bastrop County office! 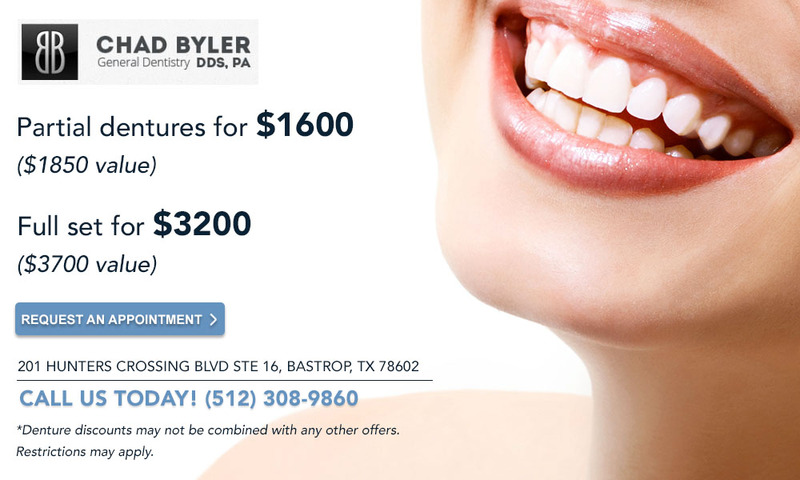 Right now Dr. Byler is offering a partial is $1600 which is a $1850 value.! We are also offering a full set for $3200 which is a $3700 value! 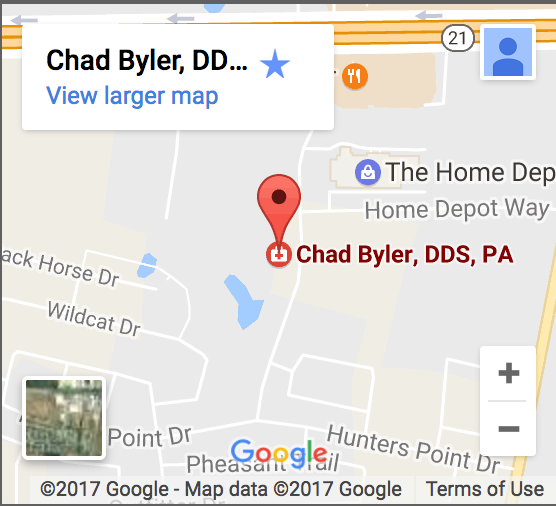 If you want a caring and experienced dentist to assist with your denture needs in Bastrop, TX, you can count on Dr. Byler. In addition to the great specials and offers, you can count on always receiving service with a smile. Restrictions: *Denture discounts may not be combined with any other offers. *Pricing can depend on your personal situation which needs to be evaluated by Dr. Byler. *Overdentures incur additional charges, please call for details.